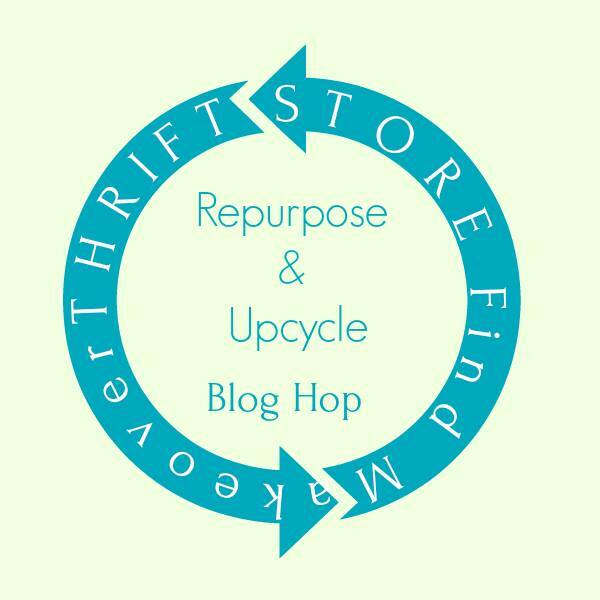 Every now and then I enjoy giving a piece of furniture a makeover, so this month I decided to join my blogging friends for the April Thrift Store Find Makeover Challenge. 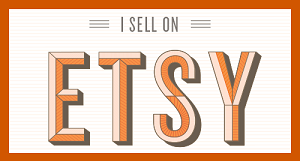 For this challenge, my friends and I are creating projects using thrift store finds of $20 or less. 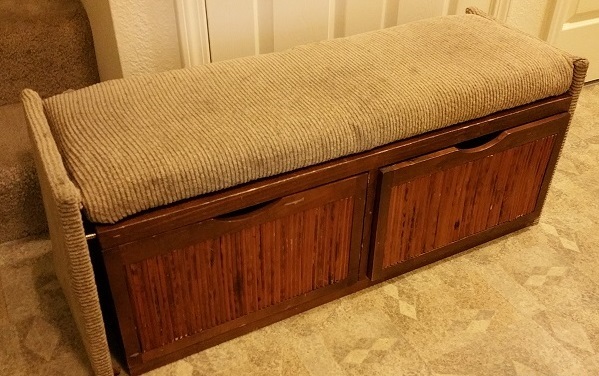 This month I'm sharing a bench I found at Goodwill. 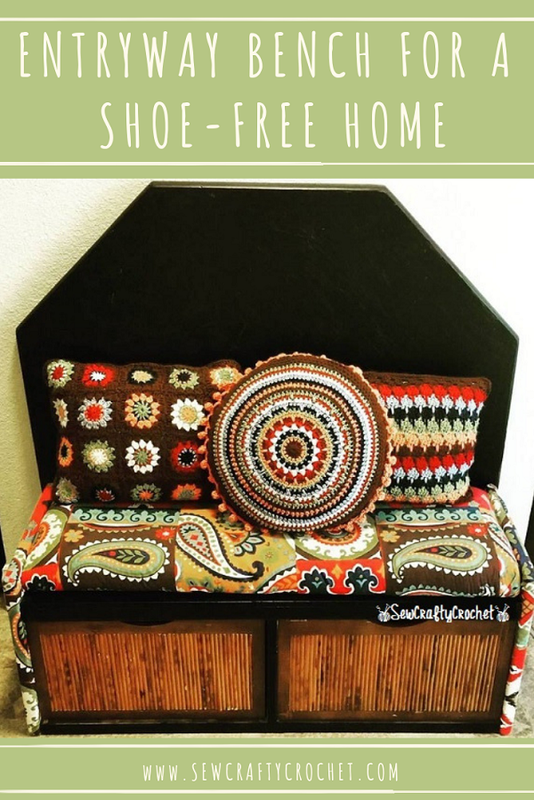 Since I declared our home as a shoe-feee zone, I needed a bench to place in the entryway for guests to sit on to take off their shoes. (The kids and I usually sit on the stairs to put our shoes on and take them off). I don't want yucky shoes tracking germs into our home, especially since we have two young children who love to crawl around on the floor. And sometimes my husband tracks in strange things when he wears his work boots. So I must say I was so pleasantly surprised when I stumbled upon this bench at the local Goodwill. I had to get it, especially since it was only $12.99! 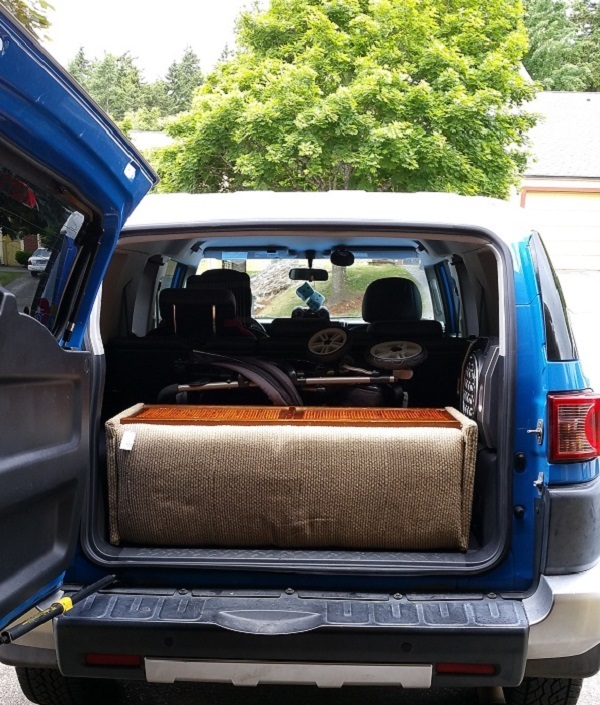 So I loaded it up in my Smurf (the nickname of my SUV since it's Smurf blue with a white top) and brought it home. It doesn't look too bad... Right? It just needed some new fabric. This fabric was covered in pet fur. And then I removed the cushion.... Ahhhhhhh! So... How in the world am I supposed to fix that big hole? 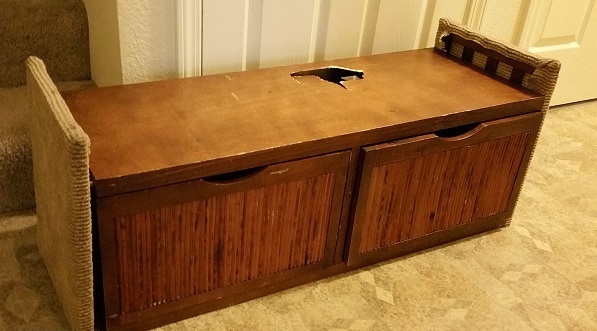 Luckily, we still had the "wood" from an old entertainment center that my husband recently broke down. The board wasn't quite long enough so there is a small square space missing, but it'll be okay. The cushion will cover that, and it's not in a critical spot where I have to worry about someone falling through! After I nailed the boards on top, I painted the frame of the bench black. I didn't touch the drawers. I was going to remove the fabric from the sides, but I discovered that there was a reason they covered the wooden rails on the sides with fabric. Some of the rails were missing. 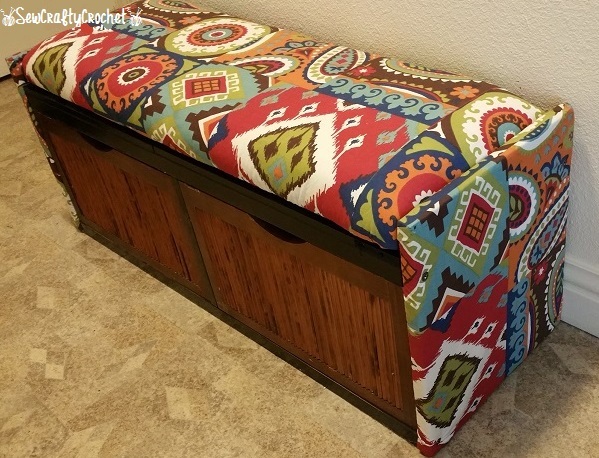 I covered the bench with the fabric left over from my curtains. I just love the print of this fabric. Originally, I left the bench like this, but I decided something was missing. I wanted some type of back to the bench for you to lean against instead of the wall. Then I remembered that we had an octagon coffee table that I no longer had any use for in the storage shed. 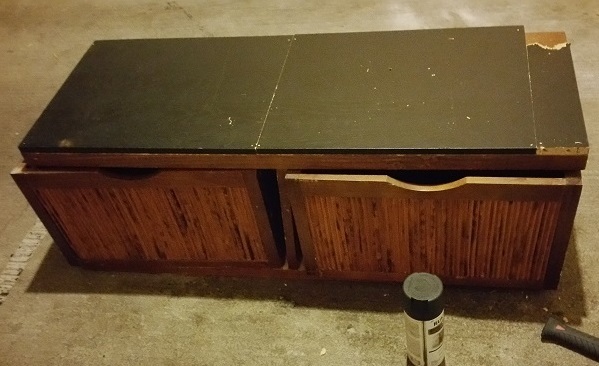 I removed the legs from the table, painted it with chalkboard paint, and put it behind the bench. Before buying this bench, we would leave our shoes scattered in the entryway in front of (and underneath) the antique dresser that used to be there. Now, they're out of sight inside one of the drawers. 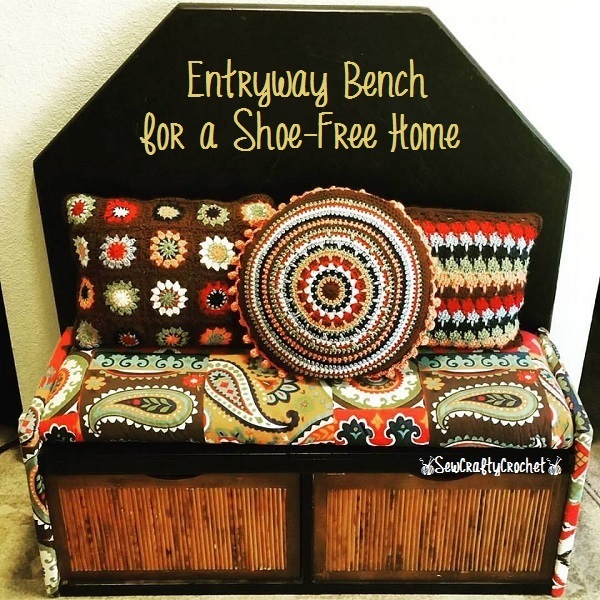 Thanks for stopping by and checking out my entry way bench! I remember your pretty bench from the first, original makeover as that fabric you used is just gorgeous. I love it even more now with the back and the crochet cushions. It looks so warm and welcoming. 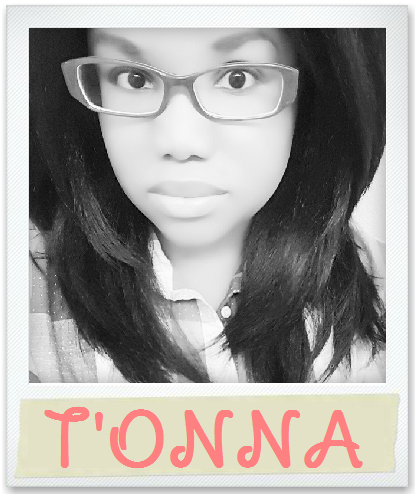 This is a great makeover, T'onna. 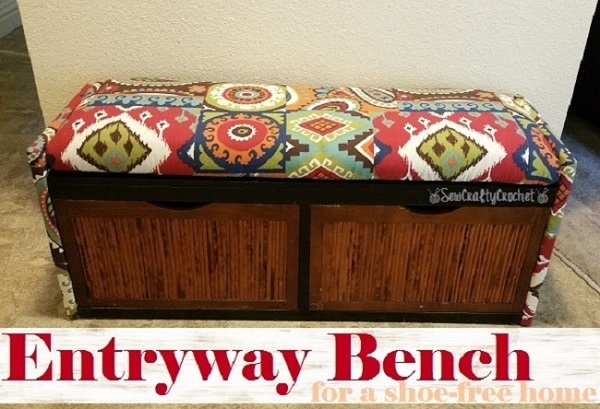 You came up with clever ways that look great to hide the problems with the bench! What a wonderful makeover! That fabric is so pretty and great idea to add on a back. That's so cute your car is called the smurf. 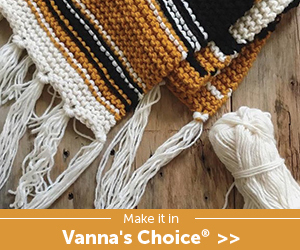 This looks amazing, T'onna! 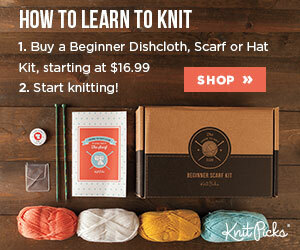 It's a great find and lovely transformation!